Forbidden Island is a visually stunning 'cooperative' board game. Instead of winning by competing with other players like most games, everyone must work together to win the game. Players take turns moving their pawns around the 'island', which is built by arranging the many beautifully screen-printed tiles before play begins. 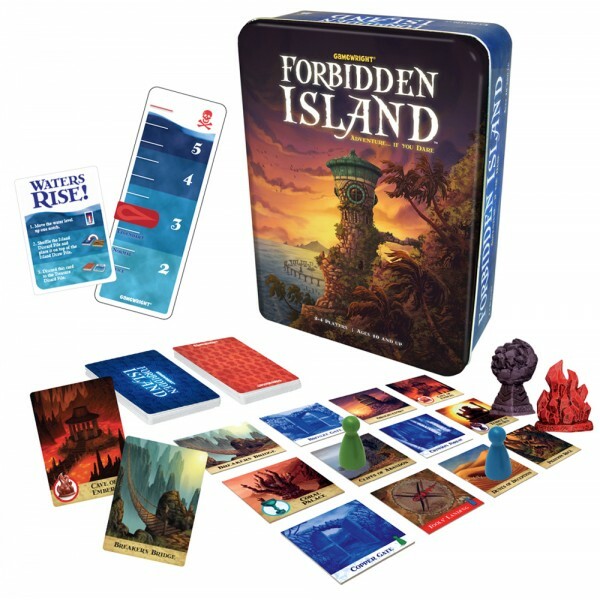 As the game progresses, more and more island tiles sink, becoming unavailable, and the pace increases. Players use strategies to keep the island from sinking, while trying to collect treasures and items. As the water level rises, it gets more difficult- sacrifices must be made. 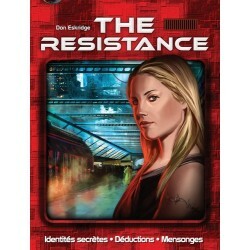 What causes this game to truly stand out among co-op and competitive games alike is the extreme detail that has been paid to the physical components of the game. It comes in a sturdy and organized tin of good shelf storage size. The plastic treasure pieces and wooden pawns are well crafted and they fit just right into the box. The cards are durable, well printed, and easy to understand. The island tiles are the real gem: they are screen-printed with vibrant colors, each with a unique and pleasing image. With multiple levels of difficulty, different characters to choose from (each with a special ability of their own), many optional island formats and game variations available, Forbidden Island has huge replay value. 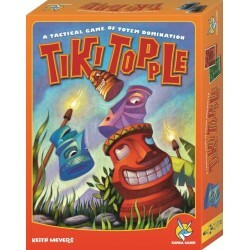 The game can be played by as few as two players and up to four (though it can accommodate five). 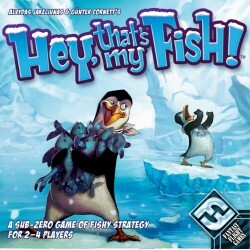 More players translates into a faster and more difficult game, though the extra help can make all the difference. 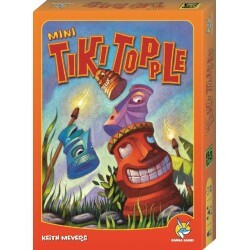 This is a fun game, tricky for players of almost any age. 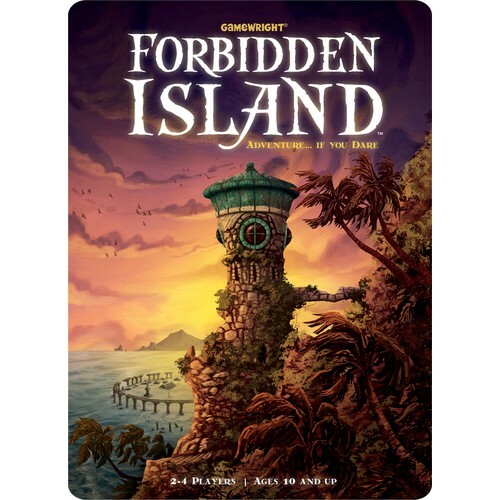 Selling for under twenty dollars, oddly, Forbidden Island is a rare game of both quality and affordable price. 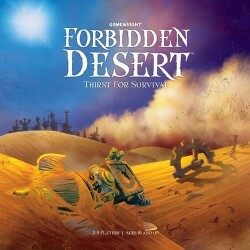 For those who enjoy Forbidden Island, a follow-up project by Gamewright titled Forbidden Desert was released in 2013. From the publisher's website: Dare to discover Forbidden Island! Join a team of fearless adventurers on a do-or-die mission to capture four sacred treasures from the ruins of this perilous paradise. Your team will have to work together and make some pulse-pounding maneuvers, as the island will sink beneath every step! Race to collect the treasures and make a triumphant escape before you are swallowed into the watery abyss!